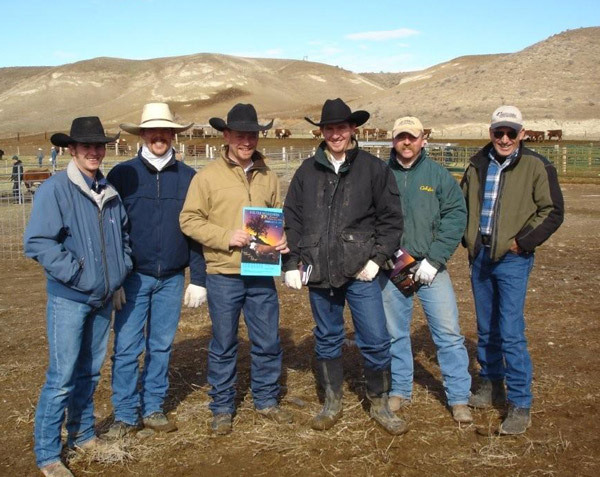 About Colyer Herefords & Angus - our family and purebred cattle ranch near Bruneau, Idaho. Located along the Snake River 60 miles southeast of Boise, the Colyer high desert ranch originated in the homestead days. Prior to 1976, the Colyer ranch ran 700 straight bred Hereford commercial cattle on BLM. We sold our BLM permit and currently run our purebred and commercial herds on deeded lands and rented, private lands. 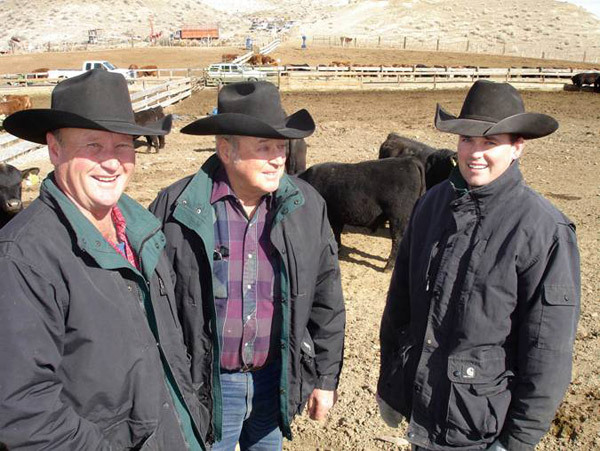 The move away from BLM enabled a closer tie with the cattle as far as individual performance records and the ability to increase quality in the direction we wanted. 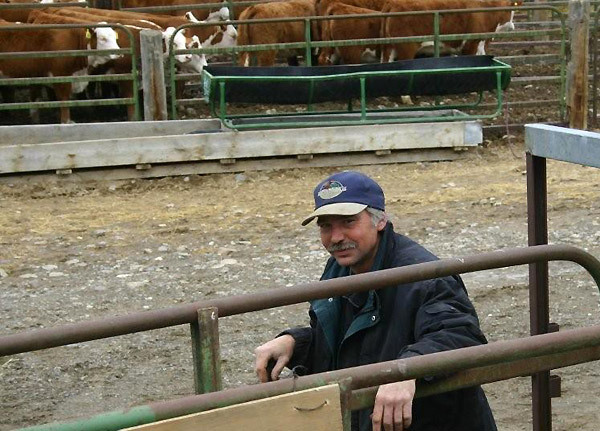 Today, Guy and Kyle Colyer manage 250 registered Hereford cows and 60 replacement heifers. We retained a small commercial cow herd until 1993 when Guy's parents, Ray & Bonnie Colyer, started building the Angus herd which now consists of 150 registered Angus cows and 35 replacement heifers. We decided to add Angus to suit our commercial ranch customers that were buying the two breeds anyway. The black-baldie is as popular as any cross in the country and it suits our environment really well. 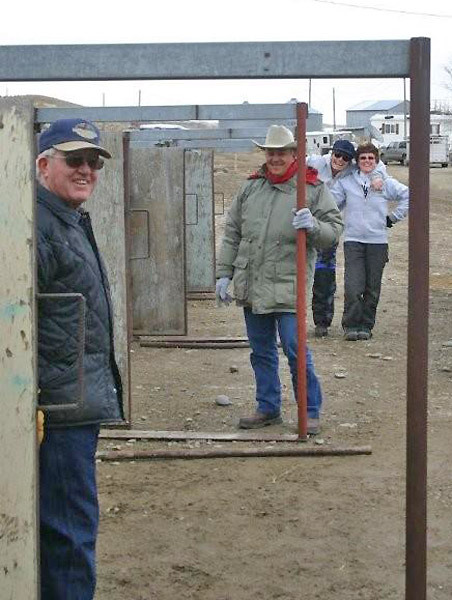 Ray and Bonnie continue to oversee the Angus herd, while Guy and Kyle plan the matings and maintain the cattle records. Guy's wife, Sherry, a daughter of a former Tacoma, Washington, livestock market owner, manages financial and computer matters while also working full-time in Mountain Home. Guy and Sherry have two children, Kyle and Katie. Kyle spent two years as a livestock judging team member at Colby College in Colby, Kansas, then graduated from Kansas State University with a bachelor degree in Animal Science. He was on the judging team at KSU and was the high individual at the American Royal in 1999. In 2005, Kyle married Bobby Jean Jones (also from the Bruneau area) and they have a daughter, Piper and new son, Cruz, who are now the 4th generation of family on the ranch. 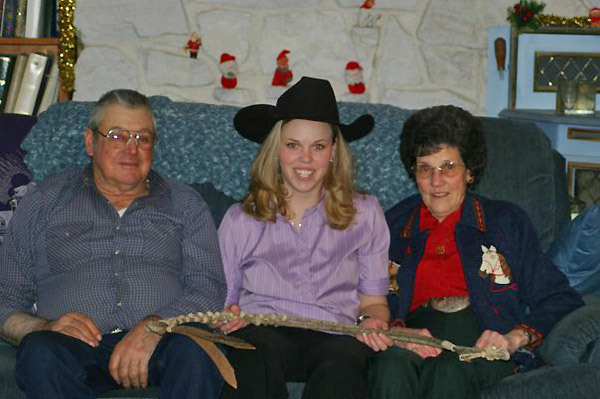 Katie graduated from Kansas State University with a degree in Animal Science-Business. 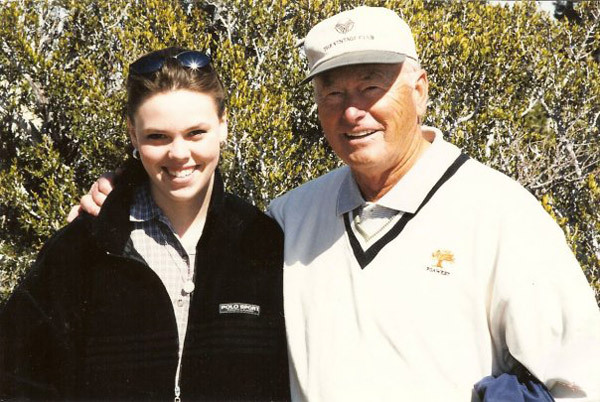 While at college Katie was highly involved in extracurricular activities and served as the Ag Student Affairs Council President while at the University of Idaho. She is very involved with the show and sale preparations here on the ranch. Katie has become a familiar face working with LiveAuctions.tv and traveling to sales across the country. She also works part time for the Idaho Cattlemen's Association, and has her own video production company, Crystal Clear Creations. Sherry, Kyle, Bobby Jean and Katie are all certified EMT's and serve voluntarily in the Bruneau area on emergency response. While the commercial-to-purebred switch brought changes to the operation, the basics remained the same. The Hereford cows are summered in rented mountain pasture near Fairfield, Idaho, while Angus cows run in homesteaded native fields in the Owyhee Mountains. Yearling bulls go to grass without supplement each summer. That way they're better able to go out and work as two-year-olds for our customers. The operation produces all necessary feed: alfalfa hay, corn silage and barley. Sale bulls are grown on corn silage and chopped hay. Every aspect of our breeding program is based on the commercial industry. We're looking for cattle with optimum performance. Many of our customers run in less-than-ideal conditions, so we're trying to match breeds and cattle that will adapt and survive in harsher environments. That's why we've selected Hereford and Angus; they're proven breeds that survive, re-breed and still give acceptable performance and carcass quality. The Colyers began using ultrasound early on. Several bulls had high marbling scores and their full brothers recorded high marbling scores since then. We think there is repeatability to what we're doing, so we can select based on ultrasound data. We're trying to increase carcass merit in our cattle by watching the carcass EPD's on our Hereford sires, and by choosing Angus bulls with superior carcass traits. Guy and Sherry are also involved the cattle industry in capacities other than as breeders. 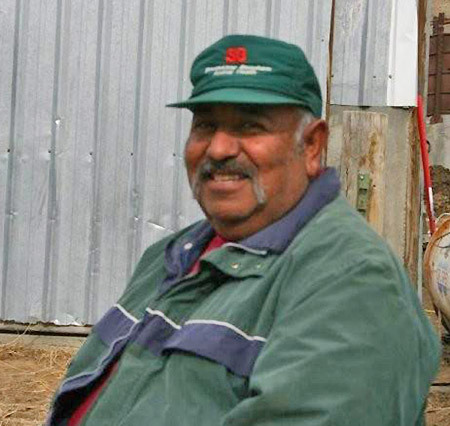 Guy has served the Owyhee County Cattle Association, Idaho Cattle Association, National Cattlemen's Beef Association, and served as an American Hereford Association board director. 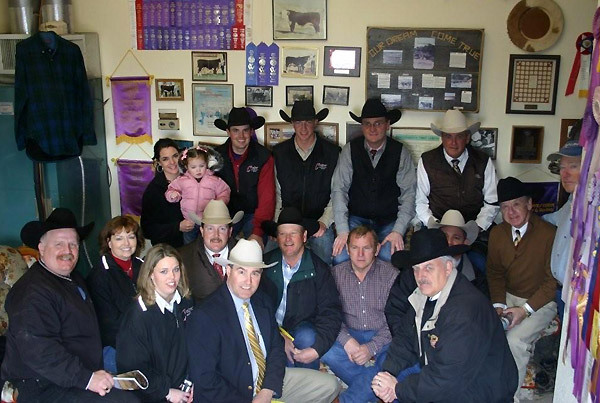 Sherry has had involvement with the American Hereford Auxiliary and has testified on the Endangered Species Act in Washington, D.C. They have both been American Junior Hereford Association national advisors. "The total picture provides the understanding that will keep Colyer Herefords progressing into the future. It looks like the only way that you're able to stay in business is to cut inputs and be more efficient and to do that we believe you need efficient cattle. I think we can shortchange Hereford and Angus cattle as much as any breed and still get a live calf and an acceptable product. Our challenge is to produce superior carcass animals and still keep the maternal aspects of the two breeds in balance. By identifying those highly heritable traits and selecting for them, I think we can make a lot of progress in a short time. " Today the operation utilizes all of the tools available to produce the "best of the best". The extensive use of AI allows us to use the best bulls available and produce large groups of 1/2 and 3/4 brothers for our commercial bull customers. We also have an extensive embryo transplant program to produce full brothers and sisters from our top producing cows. We have been producing ET calves since 1983. Currently over 90% of the calf crop will be either produced by AI or ET. We have also selected for carcass merit with the use of ultrasound technology since the mid 1980's. With the advent of DNA markers we have tested our donor dams and sires and will continue to track its usefulness to the beef industry. We currently use the GEM cowherd computer program. This allows us to track and sort all of our performance records, vaccinations, simulate matings, EPD's as well as customer records. We continually search for ways to produce a better animal for our loyal customers.